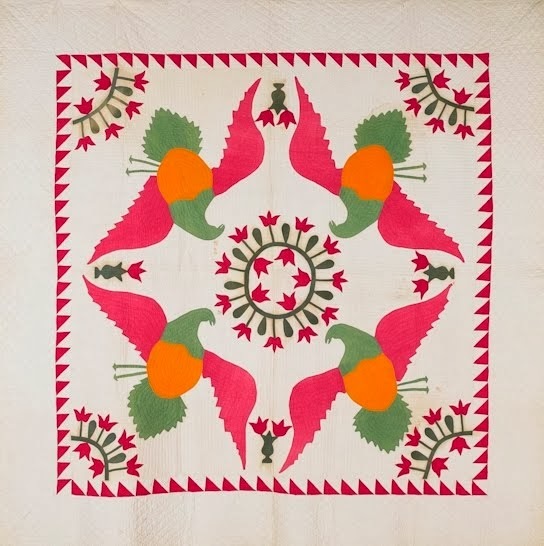 Sending Holiday Cheer with this bird and basket block from my 1850 Virginia Crib Quilt. The quilt was clearly made for a beloved child. Amazing this quilt survived the Civil War in the Shenandoah Valley of Virginia. My miniature reproduction, Virginia is for Lovers, size 16 x 16 alongside the antique original. 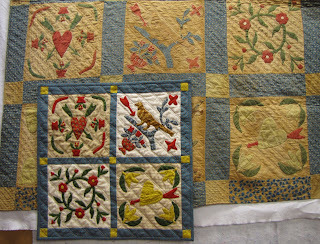 It is hand appliqued (the little baskets are only 1.5" tall) and hand quilted. 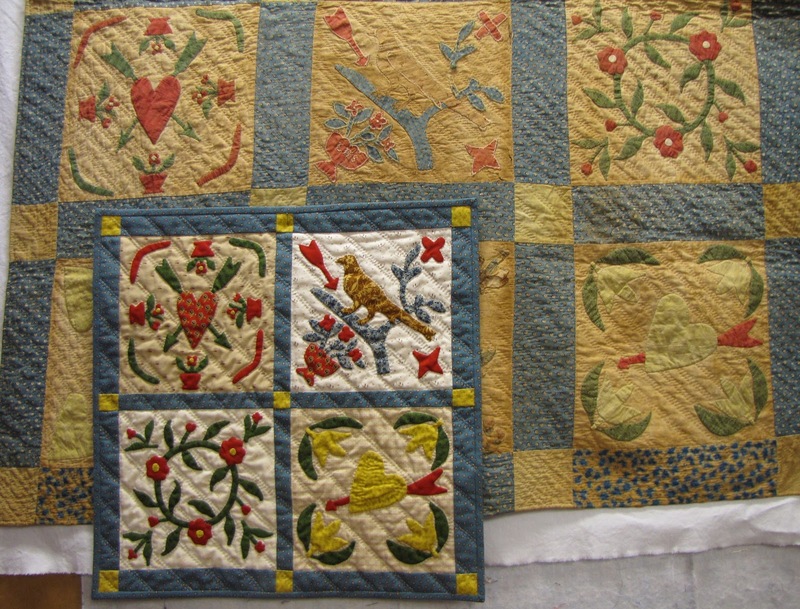 This is an utterly charming album crib quilt from the Shenandoah Valley of Virginia, purchased from a VA auction. It has 12 blocks (9" blocks), each featuring a different design including hearts, wreaths, potted flowers, tulips, a bird on branch, and cut-out chintz flowers, eight blocks with stitched name or initials in the teeniest cross stitch. Provenance: Descended in the Smith family of Waynesboro, Augusta Co., VA. I'm thinking of reproducing it in a smaller scale and trying to decide on close fabrics or crazy wild? 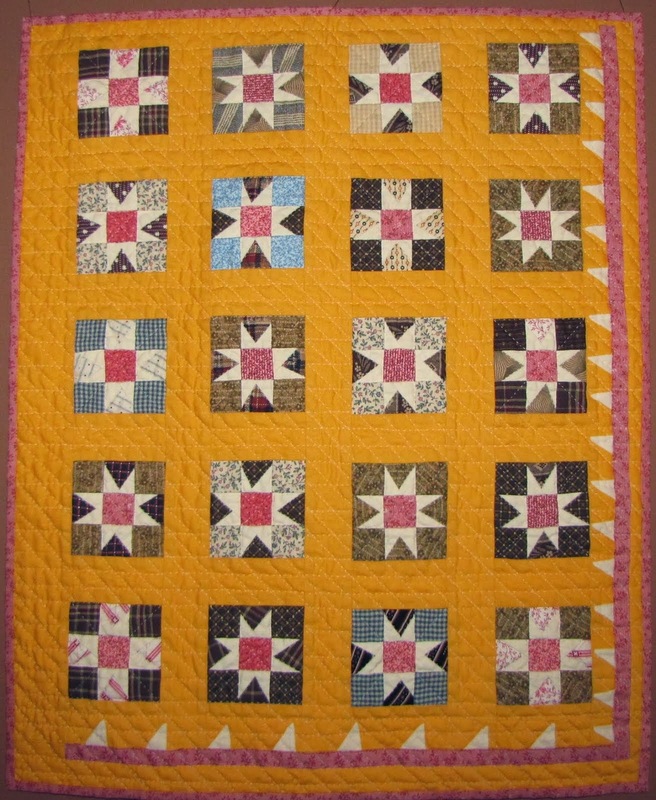 I haven't seen any other album quilts with so many heart motifs. I find the block with the bird (photo 1) in the tree getting shot with an arrow a bit strange yet kind of cute. 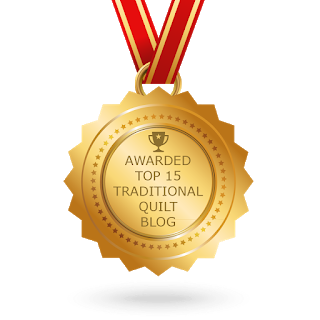 The original quilt is wonderful and your small reproduction is lovely. Thank you for showing them.